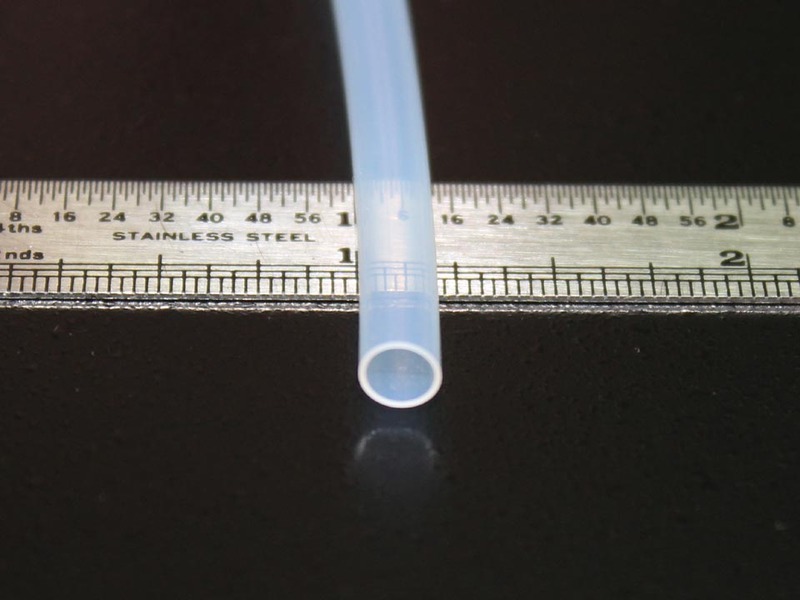 This is high quality natural PTFE Teflon tubing. Great for insulating and protecting bare wire/leads. Operating temps from 500°F down to -454°F. Internal diameter measures 0.162"-0.174" (4.11mm-4.42mm) with a wall thickness of 0.012"- 0.018" (0.30mm-0.46mm). Priced and sold by the foot (0.305 meter).